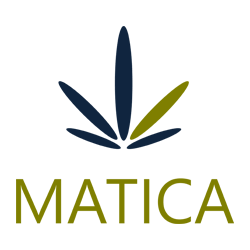 September 8, 2017 – Toronto, Ontario – Matica Enterprises Inc. (MMJ–CSE) (39N – Frankfurt) (MQPXF – OTC PINK) (“Matica” or the “Company”) is pleased to report that the Company has completed its due diligence on the second application under the Access To Cannabis for Medical Purposes Regulation (“ACMPR”) in Quebec. This second application was first reported on in a News Release on July 20, 2017. The Company has renegotiated terms and is now proceeding towards a definitive agreement based on a newly amended letter of intent. Management of Matica again toured the work site of the Dorval facility to inspect on progress. We are pleased to report significant progress towards completion of the project has been made. Preparations for the HVAC installation are underway. The electrical system upgrades are nearing completion, as is the construction of the extended capacity vault. Matica Enterprises CEO, Boris Ziger states, “I am pleased to see a busy work site at Dorval and anticipate that we will complete construction on time in November, as planned. For more information on Matica please visit the website at: www.maticaenterprises.com or follow us on Twitter at @MaticaMMJ.